RMT General Secretary Mick Cash sends out message of support and solidarity from the union to campaigners marching against racism in Cardiff, Glasgow and London today. "For RMT members racism, and associated hate crimes, are a daily reality. All of the statistics show a rise in violence, abuse and threats across the transport network with racism an ever-present issue. We have had members attacked by racist thugs who feel emboldened in the current climate and we have picket lines threatened by groups associated with the far-right. 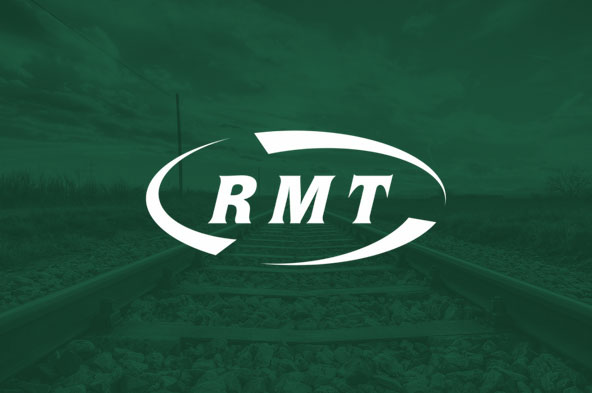 "RMT members have taken strike action over the past three years in a barrage of disputes across the country where the fundamental issue has been defending the principle of a safe, secure and accessible railway for all. Where services are de-staffed in the name of profit racially-motivated yobs feel that they have a green light to spread their poison. "Every survey of RMT members that we have conducted during the campaign to protect safe staffing levels has shown that racially-motivated incidents are now common-place. That is the kind of poisonous environment that we are marching today to challenge and reverse."